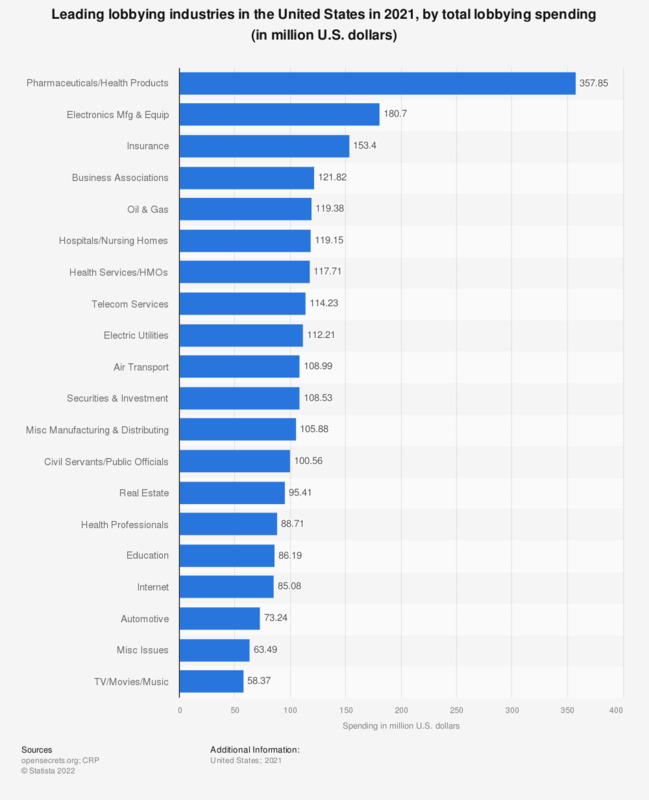 This statistic shows the top lobbying industries in the United States in 2018, by total lobbying spending. In 2018, Pharmaceutical and Health Products was the top industry, with lobbying spending amounting to around 281.47 million U.S. dollars. The total amount of money spent on lobbying in the United States was 3.45 billion U.S. dollars.